Most of the time we think in terms of a broad picture, such as the Westside in general or Pacific Palisades as a whole. Is it worth breaking this down more, such as a look at specific neighborhoods or perhaps various price ranges? This article begins an analytic perspective with just the top tier, or highest quartile, of the Palisades, as compared with the market as a whole. The reader will see that there are definitely some significant differences and perhaps a couple of surprises. The following data was derived mostly from the MLS, as well as several off-market sales that have occurred in recent months. The top quartile looked at are homes that were listed at or above $6.5 million over the last six months (since Dec. 5, 2017), and we compared the figures with the same time period a year earlier. 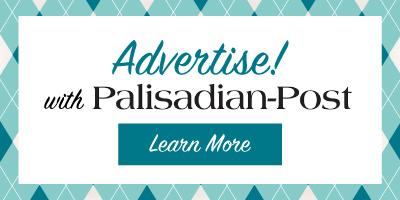 One observation is that whereas the Palisades overall has a housing inventory at the current rate of sales of about three months, currently there is more than a seven-month level of inventory of homes listed above $6.5 million. In theory, considering that a market is relatively in balance between buyers and sellers, when there is an inventory of five to six months, we are now experiencing a market slightly favoring buyers in the higher price range. The median list price of the top tier of homes listed is now $9.6 million. These 15 most expensive homes average about 6,500 square feet and more than a half-acre of land. The asking price averages $1,500 per square foot, which is also about how much they have been selling for on average. The median sale price for the 12 most expensive home sales in the last six months was $10 million, about 5 percent higher than in the same period a year earlier. Slightly more than half of these sales occurred in The Riviera. However, currently only 10 percent of the homes for sale in that price range are in The Riviera. This is a year in which higher numbers are being reached more than in the previous year—in fact, there were more higher priced sales than ever before in the Palisades. For example, there was only one sale in 2017 that was over $20 million. So far this year we have seen two sales well above that level: one on Fermo, in the Upper Riviera, at $27 million, and one on San Remo at $33 million. With prices having reached such lofty levels, some are wondering how much higher the market can go and what factors might impact that outlook. One answer may lie in short-term effects of political or economic shifts. Although there has been an unprecedented confidence in the economy, as reflected in new high levels of stock markets, there is also an undercurrent of greater anxiety and fears than we have experienced in many years. The recent changes in tax regulations have begun to affect home sales, as some escrows have been canceled and some buyers have given up and are either staying in their current homes or deciding to lease for now rather than trying to buy a new home. Another factor is that buyers from China have suddenly slowed down in pursuit of homes in the United States, primarily due to their government clamping down on large money transfers out of the country. There is also a longer-term perspective that may be worth observing. Although history does not need to repeat itself as is often said it must do, we have seen a cyclical pattern of eight- to 10-year periods repeat three times in the last few decades. Each downward or correction cycle began for a different set of reasons, and the last one was in 2008 in reaction to the savings and loan industry meltdown. This being the 10th year of the current cycle, one might be mindful of the events and circumstances that might lead to another repetition beginning in the next six months. The high-end of the housing market was not immune from the correction last time, with prices averaging a downward move ranging from 22-28 percent, varying from different areas of the Palisades. It took four years for the downward move to finally flatten out, and then another one to two years for the market to begin its recovery. 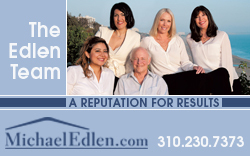 Michael Edlen has been tracking local real estate statistics for nearly 30 years, and his team makes every effort to anticipate shifts in property values before they become significant. They have a proven system for local property evaluation that is more accurate and ultimately correct within 5 percent of average sales prices. He may be reached at 310-230-7373 or michael@edlenteam.com.